Unlike other private sector business corporations, municipally-owned corporations operate at the intersection of public policy and private incentives – often in a very specific legal and regulatory framework. 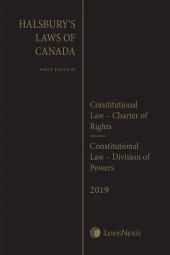 Regulation and Governance of Municipally-Owned Corporations in Ontario focuses on two types of corporations – municipal services corporations and electricity distribution corporations and their affiliates – and deals with issues related to their ownership structures and governance processes. In addition, to illustrate concepts covered in the book, the appendices include useful precedents such as shareholder declarations, a conflict of interest policy, a code of conduct, and anti-harassment and anti-discrimination policies. Ron Clark, B.A., LL.B., LL.M., is a partner at Aird & Berlis LLP and a member of the firm’s Corporate/Commercial Group and Energy team. Having advised numerous municipalities and related entities through the historical and institutional development of municipal services and electrical distribution in Ontario, Ron brings extensive experience and perspective to guiding his clients through strategic changes. He also has a background in public international law and previously served as a diplomat with the Canadian Department of Foreign Affairs and International Trade, with postings in Ottawa and Brussels. Ron is listed in Chambers Global: The World’s Leading Lawyers for Business as a top practitioner in Energy, Power (Canada) and in The Canadian Legal Lexpert Directory as a leading lawyer in the area of Energy (Electricity). 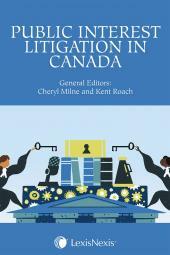 He is an instructor with Osgoode Hall Law School’s Professional LL.M. 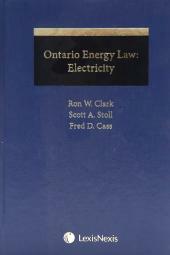 in Energy and Infrastructure Law and is a co-author (with Fred Cass and Scott Stoll) of Ontario Energy Law: Electricity published by LexisNexis Canada (2012). Ron is a member of the bars of both Ontario and New York.